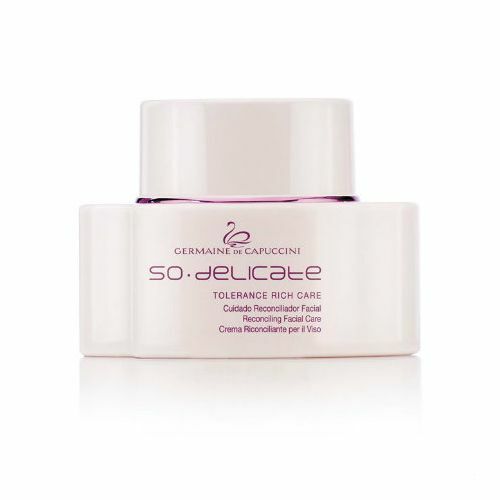 Designed to step in as an effective alternative to your existing facial cream, the Germaine de Capuccini So Delicate Tolerance Care Reconciling Facial Cream adapts to suit your personal skin type. The delicate and light textures use a unique blend of Phyto-active ingredients such as arnica and lupin to sooth and smooth. Combining this with the brands unique Defensive Complex of plant origins, this versatile face cream provides intense soothing to irritated or sensitive skin while optimising it's anti-oxidant properties to reduce the risk of further flares. 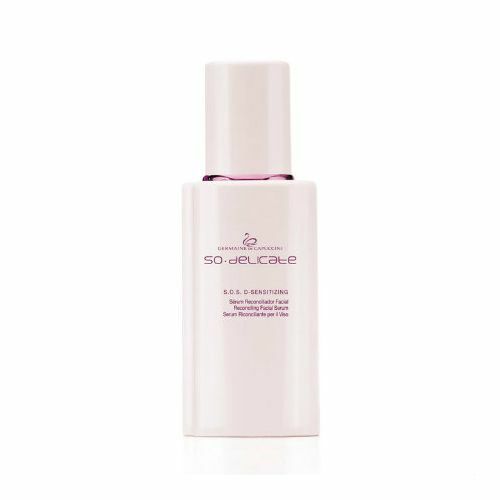 Best suited to those dealing with skin that reacts to external stresses easily and becomes inflamed regularly. Massage Germaine de Capuccini So Delicate Tolerance Care Reconciling Facial Cream onto clean, dry skin. Great used on normal skin types and those with sensitive skin.